ROAD CLOSURE WITH POWER POLE DOWN ON 17TH STREET AND FOLSOM AVENUE IN SAN PABLO. PG&E ON SCENE. AVOID AREA. A Power Pole in the area of 17th St. and Folsom Ave. in San Pablo was knocked over causing power lines to go down. 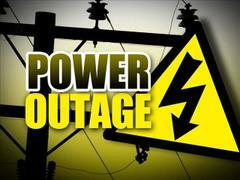 Power was shut down in the area while PG&E crews are on scene working. Please avoid the area of Davis Park between Folsom Ave. and Dover Ave.from 17th St. to 16th St. while crews work on restoring power to the area. AVOID THE AREA OF FOLSOM AVE. AND 17TH ST. DUE TO POWER LINES DOWN.